There are moments in life when you genuinely believe that the universe is working with you. 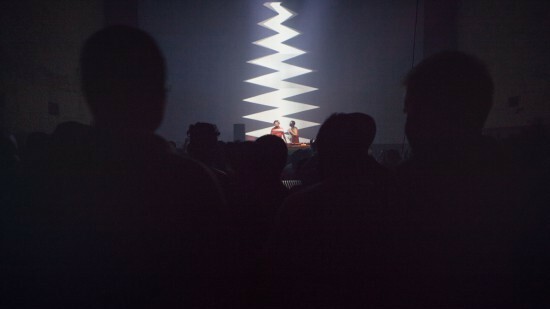 It was only a couple of months prior that I was talking to Jivraj Singh regarding ideas for live visuals – we had both stumbled upon a video of Moderat’s first tour where the visuals were displayed on a three screen setup and were curated by Berlin based visual crewPfadfinderei. 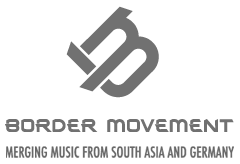 And there I was in the middle of July, staring at an email from Border Movement that said I had been selected for the Video Lab in Colombo by Pfadfinderei and would be spending a week under their mentorship. I had no idea who else had been selected but a common email to the other participants had me spending the next couple of hours on Google to see if I could find out more. Doing this felt slightly strange at the time but my fellow participants and I had a laugh when we discovered that we’d all done the same. We were a gang of geeks from the subcontinent. I met everyone in the span of two days. First, Nikunj Patel on the flight to Colombo, then Codec and Jan at the Rio Cinema, SK Reshan in the evening at the hotel and Zombie aka Nishant John and Lalindra Amarasekara the next morning. When you’re in a new city, your perspective automatically changes. Everything is new, everything is different. There was also an added touch of German culture. As Codec took us through their journey, he discussed Germany and Berlin after the wall fell and how that impacted the underground music movement. 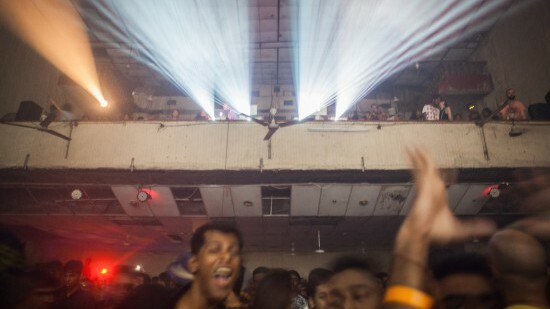 The concept of holding gigs in abandoned public places in the mid 90s in Berlin translated into the basic idea of the Pettah Interchange. Things often run in circles, and we were right in the thick of it. The next few days went by in a flurry of activity. We visited the venue and discussed ideas for the installations. We looked at the ancient film projector at Rio and wondered if it was possible to utilise it in our live visuals. Over the course of the project, we were amazed at how much independence we were given by Codec and Florian.Mentorship from the masters combined with creative freedom is a very potent combination. The five of us were brimming with ideas and began to discuss concepts for the installations that seemed impossible just days ago. Each of us took responsibility for one aspect of the project and with the Pfadfinderei team keeping an eye on us, everything started to fall into place. It was unreal how quickly the group gelled together despite our diverse backgrounds. There were things we were doing for the first time, learning from each other. The five of us worked on five different elements, spread out over one table. Lalindra and SK focused on manipulating 3D data from a Kinect, Nikunj took the lead with animation and Zombie, otherwise an experienced VJ, spent most of his time focused on After Effects and producing content. Me, I’m from a video, post production and motion graphics background and spent the duration of the project learning about programming lights with DMX signals. Of course, it wasn’t all work. Late evenings were reserved for relaxation. Overlooking the Colombo Port, drink in hand, is where we learnt most about each other, our cultures and lives. With seven people from four countries it became more a cultural exchange than merely a video lab. Despite days of smooth sailing, the entire team experienced a minor crisis the day before Pettah Interchange’s final gig. The cloudy day gave way to pouring rain by evening. We were supposed to go to the venue, do a dry (pun intended) run of all the installations and suddenly we were stuck – there was water everywhere. We couldn’t test the light installation, everything was running late and the electrician was drunk. We called it a night at 2am hoping that things would work out the next day. Needless to say, the following day was sunny. After a frantic couple of hours of running around getting everything in place, we all stood at the poolside and looked around. 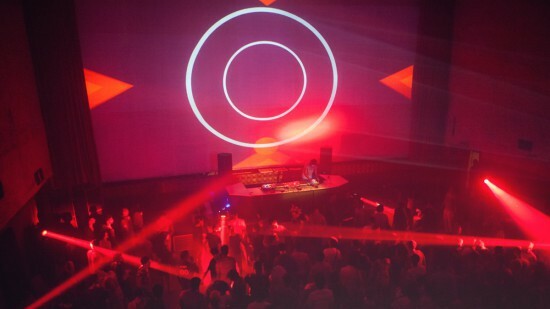 The lights were on, the projections were running, the music had started and people were coming in. All of the installations were working brilliantly, from the Kinect projection, to the mirror simulation, to the light equaliser on the building facade and the animated characters on the wall. 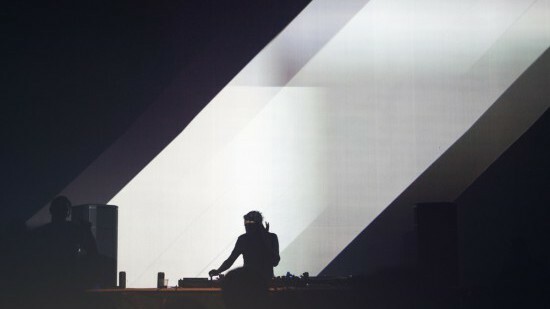 However, our work was not yet done – we still had a live visual show to perform on the main stage. While the installations were self running pieces, all of us had to mix live visuals alongside the performing artists with content that we had produced over the last week. Over the course of the project, we met people, formed new relationships and learnt from the best in world. We were inspired and managed to pull off something that (before coming to Colombo) none of us would have thought possible in our wildest dreams. Along the way we met a host of wonderful people, from the wonderful folk at Goethe Institut in Colombo (Jan made sure everything worked, Miskin picked us up and dropped us back every single day); to musicians from Sri Lanka, Pakistan, Germany and Maldives – everyone contributed in their own way, fuelling our passions and ideas. And, of course, Codec and Florian from Pfadfinderei and the other participants in the video lab. I believe I’ve made some great friends there. I’m proud to have been a part of what took place between the 27th of July and the 3rd of August. It was hard to say our goodbyes but we’ve all returned a little wiser, enriched with new friendships and with a belief that we’ll meet and work together again at some point in the future.